Congratulations to Boronia West Primary School, Upper Ferntree Gully Primary School, Great Ryrie Primary School and Park Crescent Children and Family Centre who participated in our 10,000 step workplace challenge. 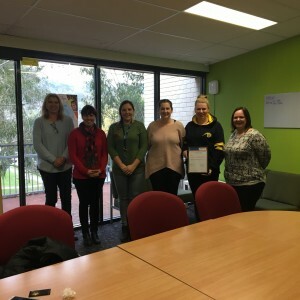 Our Health Promotion Team would like to congratulate one person in particular, who has had a life-changing experience as a result of joining the Boronia West Primary School Team. “One of the teachers advised me that they were all participating in this 10,000 Step Challenge that is being run by EACH to increase physical activity levels among staff within the school”. “I knew I was going to have to do something about losing weight some point soon as I have an impending knee replacement due over the coming months. I decided to take on the challenge. However, three weeks into it I felt like giving up as it was really hard to keep up the activity levels of reaching 10,000 steps per day as well as adapting a healthier diet. With the help of my team members, I realised I had to learn to stop making excuses of why I couldn’t reach my target of 10,000 steps per day”. “Through a lot of hard work, dedication and concentration by the end of the fourth week I lost a significant 2 kilos, by the end of the following week I had lost 3 kilos. I am now into my eighth week and have lost 7.2 kilos. I wear my pedometer every day to keep me on top of the number of steps I complete”. “When you reach the sixth week and lose 5 kilos you don’t realise how light you feel and the positive impact that can have on your life. It was such a good feeling to put on clothes that you haven’t worn for over two years. Increasing my activity levels, reducing sugar and eating a healthy diet has not only made me feel more energetic and confident but it has also helped my rheumatoid arthritis”. Catherine Delaney, EACH Health Promotion Officer stated that “we were all astonished by Yvonne’s efforts and commitment to the 10,000 step challenge that we also presented her with a voucher to congratulate her for all her efforts. Well done Yvonne”. The winning individual from each school and centre was recognised with a winning voucher for all their hard work and dedication. Teachers, educators and all staff recognise they are role models to children within their setting and can have a strong influence on increasing children’s physical activity levels. Using the school newsletter each school and centre shared information on the 10,000 step challenge with all of their students and families. Sharna, director, Park Crescent Children and Family Centre said “Our team decided to participate in the 10,000 step challenge to raise awareness of the importance of physical activity and have some competitive fun amongst colleagues. This challenge was a great way to engage with others in our team and encourage each other to complete our daily goals We had a great time completing the challenge with lots of social lunchtime walks”. The 10,000 steps challenge took place over April and May 2017, and was led by EACH with support by Knox City Council. 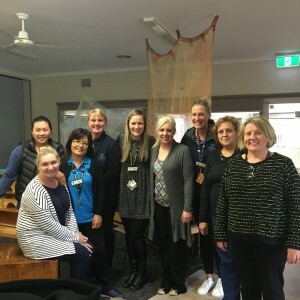 For more information on the program or how your workplace can improve the health and wellbeing of staff and management, please contact Emily Groszek, Workplace Health Promotion Officer on emily.groszek@each.com.au or call 9757 6250.